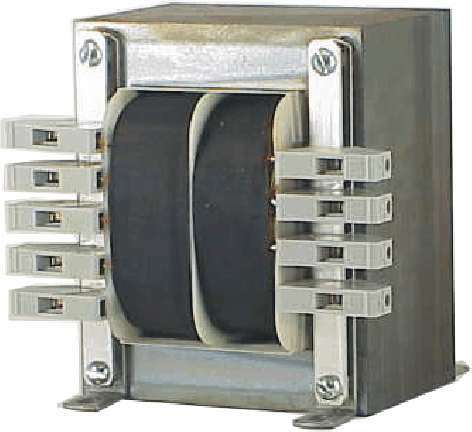 The 130 C insulation system and winding configuration provides 4000VRMS hipot and results in low interwinding capacitance, eliminating the need for Electro-Static Shielding. Our engineers/application staff can assist you with selecting the unit that best suits your needs. Custom design and construction is available for your special requirements. The dual primaries can be connected in parallel or series combinations to accommodate 100V/120V/220V/240V power sources @ 50/60Hz. The terminals featured on this series are touch free for the end user and meet the highest safety standards. The dual secondaries are designed for various voltages and currents and when connected in series or parallel provide a variety of utilization.